AllTerra Central (formerly Western Data Systems and Martin Instrument) is an authorized Trimble Dealer specializing in the sales, rentals, training and technical support for Survey, Mapping and GIS, Marine, Utility, Environmental, Fleet Management and Seismic Industries. Combining 50 year of experience, AllTerra Central supplies top of the line Geospatial measurement and GPS and GIS related products in Texas and Oklahoma, including scanners and UAVs. We also offer several peripheral items such as pipeline locators, ground penetrating radars, laser rangefinders, laser scanners, GPS cameras, barcoders, tablets and much more. AllTerra Central has four full Survey Supply stores in Texas and delivers wood, stakes, flags and any supply needed daily. With our extensive rental fleet we have more than enough gear to get you through any job and can ship worldwide. Our Technical Support staff is comprised of a staff that has worked in the field and can help out with any support need you have. We offer free support to both our rental and sales customers. Finally, AllTerra Central also manages the largest private VRS Network in the world. This network is available to both Survey and Mapping communities. We are adding base stations continuously and the amount of users grows each year. For a full line of our products and services, please visit our websites at www.wds-us.com or www.martininstument.com (online ordering available at martininstrument.com). With seven offices across Texas and Oklahoma you are never too far from the experts! Founded in 2006, Assetic delivers a Strategic Asset Management platform through our industry-specific software and services. Assetic gives asset management professionals – whether they be GIS, engineering, or finance focused, the ability to make better long-term decisions. Assetic leverages CMMS data and ESRI data so organizations can gain a better understanding for how today's decisions impact the future condition performance of your asset network. The CEDRA Corporation, offers ArcGIS based software for public works agencies, tax assessors, planners, utilities, municipalities and private sector companies. Complementing CEDRA's software development services is its Professional Services Division which specializes in data capture, data maintenance, data conversion, custom application development, routing solutions, ArcGIS Server application development, ArcGIS Online implementations and developing 3D GIS using CityEngine. CEDRA’s consulting services division, comprised of a number of civil engineers, is highly specialized in developing water, wastewater and storm sewer databases and converting existing information (digital and non-digital) into Esri's GIS format. CEDRA also has experience in developing databases for other types of utilities such as electrical. oil and natural gas pipeline facilities. CEDRA has been an Esri Authorized Business Partner for close to 25 years. Since 1996, Cityworks® has been helping organizations maintain smart, safe, and resilient communities by streamlining the care of public infrastructure, permitting, and property. Built exclusively on Esri’s ArcGIS technology, Cityworks' GIS-centric platform combines the authoritative asset inventory in a geodatabase with business process applications for managing workflow, scheduling resources, and prioritizing activities. Time-tested and proven, Cityworks is Empowering GIS for thousands of people, saving time and money, while improving operational efficiencies. EagleView® provides aerial imagery, data analytics, property data, and GIS solutions for government agencies as well as the infrastructure, insurance, and construction industries. A fleet of more than 100 aircraft captures Pictometry® oblique and orthogonal aerial imagery, from which EagleView can extract data about millions of residential and commercial properties. Silver Sponsor Esri’s geographic Information system (GIS) technology has given clients the power to think and plan geographically for over 45 years. Used today in more than 350,000 organizations worldwide, GIS helps cities, governments, universities, and Fortune 500 companies save money, lives, and our environment. GIS helps you understand and question data in ways that reveal relationships, patterns, and trends. So whether you are transporting ethanol or studying landslides, you can use GIS to solve problems and make better decisions, because a GIS enables you to look at your valuable data in a way that is quickly understood and easily shared. Esri supports the implementation of GIS technology on the desktop, servers, online services, and mobile devices. Geomatic Resources is the premier Leica Geosystems dealer for Oklahoma, Arkansas and North Texas. Our firm was founded in 2005 with an eye towards bringing value to the product by staffing with measurement and technical professionals. Colin Fletcher has over thirty years of measurement, construction and mapping experience. We are proud to have a staff that includes two Professional Land Surveyors and a combined 100+ years of industry experience in Surveying, Construction, GIS, Machine Control, HDS, and software solutions. We don’t just provide the best products, we provide superior solutions. We are professionals backing professional products and we are proud to be a part of SCAUG! Since 2005, Geospatial Training Services has provided high quality training opportunities for GIS professionals. Our training events are presented in a number of different formats including traditional classroom, live-online, self-paced online with access to the instructor, and self-paced. Our goal is to provide you with the training materials you need in the format you want. GRI works with a wide variety of customers in different fields such as Architecture, Engineering, Construction, Manufacturing, Oil & Gas, Federal/State/Local Govt., etc. 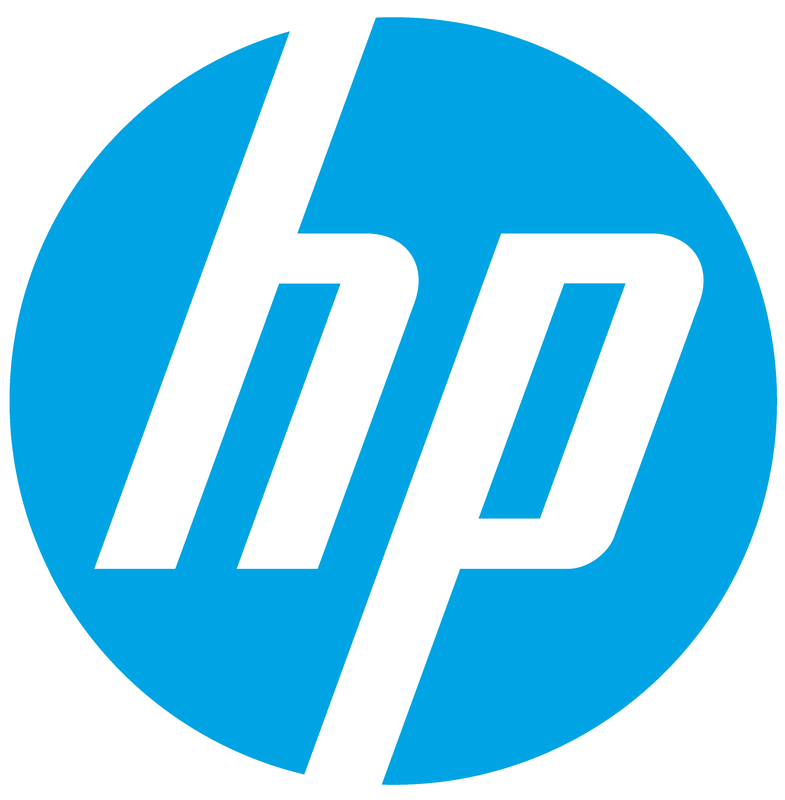 Some our core services include digital printing, copying, scanning, document management and equipment sales. We sell large format copying, printing and scanning equipment. 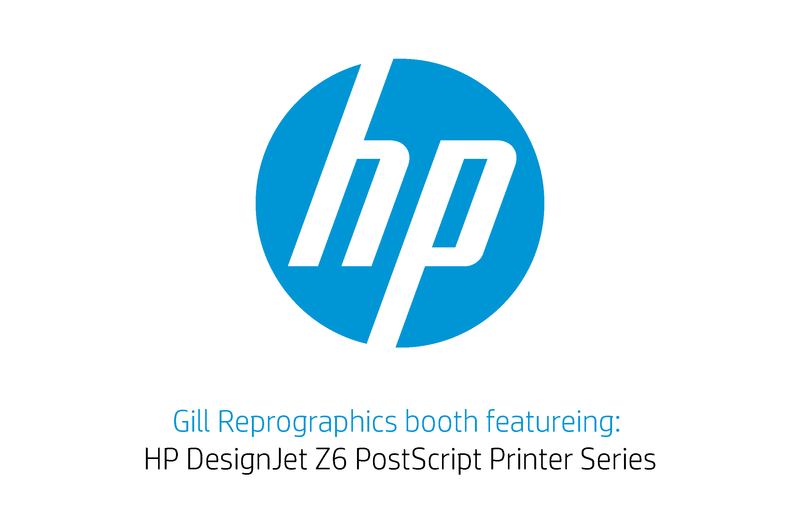 GRI is a member of the Designjet Specialist Program with HP. 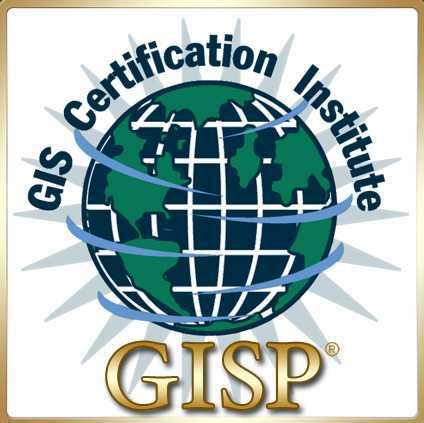 The GIS Certification Institute (GISCI) is a tax-exempt not-for-profit organization that provides the geographic information systems (GIS) community with an internationally-recognized, complete certification program. GISCI offers participants from the first early years on the job until retirement, a positive method of showing value for professionals and employers in the GIS profession. There are currently over 8000 active GISPs located throughout the world. The current GISP Certification process consists of a portfolio that describes an applicant's background in Ethics, Education, Experience, and Contributions to the Profession. That application, accompanying documentation, and payment are submitted, and the review generally takes from 30 to 45 days for approval. The GISCI Geospatial Core Technical Knowledge ExamRhas now been developed and added to the GISP Certification process. It is based on a job analysis, informed by the GIS &T Body of Knowledge, and guided by the Geospatial Technical Competency Model (GTCM). It is offered twice each year, in the Summer and Fall. Maps have always been at the heart of HERE’s mission, only the maps we are creating today are very different from those of the past. Powered by our leading location cloud and enriched with dynamic data, maps from HERE are increasingly real-time. Now YOU can contribute map updates by visiting upload.here.com and submitting GIS data for your area. To learn more about HERE, including our new generation of location platform services, visit 360.here.com and www.here.com. The Hexagon Imagery Program (HxIP) is orthorectified imagery that meets rigorous industry accuracy and quality standards through the use of the most sophisticated processing methodologies to provide industry professionals with a product that can be used with confidence. Enhance your GIS experience and make better decisions with the Hexagon Imagery Program (HxIP). Meshek is proud to be a homegrown Oklahoma company and has developed a proven track record for successful GIS project design and implementation. As ESRI Silver Level business partners, we have proven capable of providing advanced solutions and support for ESRI’s local customers. Choose Meshek and let our knowledge, experience, and vision ensure all your GIS projects meet their true potential. The NewEdge team has all of the knowledge, experience and expertise needed to successfully implement all GIS related projects. Our team has been working together since 2008 and has over 100 years of combined experience in working with multiple types of data, software, and technologies that will be critical for a successful project. Founded in 1969, Quantum Spatial, Inc. is a professional geospatial mapping organization with a proud record of performance providing similar services to multiple state, local, federal, and private organizations. Created through the merger of AeroMetric, Photo Science, and Watershed Sciences in 2013, Quantum Spatial has emerged as one of the largest, most innovative, and competitively positioned geospatial services provider in North America. Our firm is comprised of the utmost experienced, qualified, and credentialed staff in the geospatial profession. While the synergy captured from this merger has expanded our resources, Quantum Spatial is dedicated to embracing the legacy traits that have defined our success. Quantum Spatial’s core business is devoted to providing geospatial data acquisition and post-processing services to our clients. QSI has completed projects in every US state and in over 30 countries around the world. R&S Digital is a full-service GIS mapping company. We handle all phases of GIS development. Our staff consistently delivers projects and standards of accuracy which exceed our client’s expectations. • Parcels - R&S has mapped over 3 million parcels in the United States. • NG911 - Accurate GIS data is integral for the NG9-1-1 system and call routing. R&S Digital is a demonstrated leader in providing GIS services compliant with the NENA Standards for NG-911. • Web Portals – R&S has many customizable web applications for Assessor’s Data, 911 Addressing, Asset Inventory. RazorTek was established in 2002. We are a GeoSpatial data provider specializing in data development, data conversion, feature extraction, map production, Georeferencing paper maps, on-site GIS training, custom GIS programming, web application, MrSid image processing, and Project Management. In addition, RazorTek is a software reseller for a variety of vendors (ESRI, LizardTech (GeoExpress) and PlanetLabs), a provider for high resolution satellite imagery (PlanetLabs and Digital Globe), aerial photography and LiDAR. At RazorTek, we pay attention to all of the details that go into all of our GeoSpatial projects, providing you the quality, performance and pricing you expect and deserved We use the latest computer technologies, with industry standard computer applications such as ESRI, LizardTech, Terrago, MicroStation, ERDAS and Microsoft Office Suite applications and many more. Surdex Corporation is a full service photogrammetric mapping firm that supplies accurate and precise geospatial information to a diverse client base. We provide our clients with high quality mapping services to include aerial image acquisition, LiDAR acquisition and processing, digital orthophotography, planimetric and topographic mapping and data hosting. A history of extensive data collection, research and development inspired us to create a product first in its class, which leverages the power of Amazon Web Services. Parcelinfo.io, a revolutionary approach in delivering property information, is an associated product to iProplogic.com. Continuous innovation, inspired by the evolution of technology and software design, casts Parcelinfo.io as the leading software in the industry. If property information is what you need, integrate our API today and give your clients added value and increase your revenue by capitalizing on the data delivered. Data is delivered in JSON, WKT and GeoJSON https://www.parcelinfo.io . Furthermore, we are the provider of the OKMAPS Statewide Parcel Data. WeatherOps by WDT is the industry leader, providing organizations with weather data via GIS-ready map services. WeatherOps by WDT offers archive, real-time, and forecast weather data for plug-and-play use in ESRI maps and applications. In addition to providing weather data via REST endpoints from our ArcGIS Server infrastructure, WeatherOps also offers weather data services via proprietary APIs. To further support the meteorological needs of our clients WeatherOps by WDT employs the world-renowned WeatherOps forecast team, staffed by experts who provide global asset projection, decision support, and commodities trading insight. WeatherOps by WDT maintains operational offices in Norman, Oklahoma and Tulsa, OK.